Build Time: Custom-made, ships within 45 business days. FREE LOCAL DELIVERY in Los Angeles County (CA). 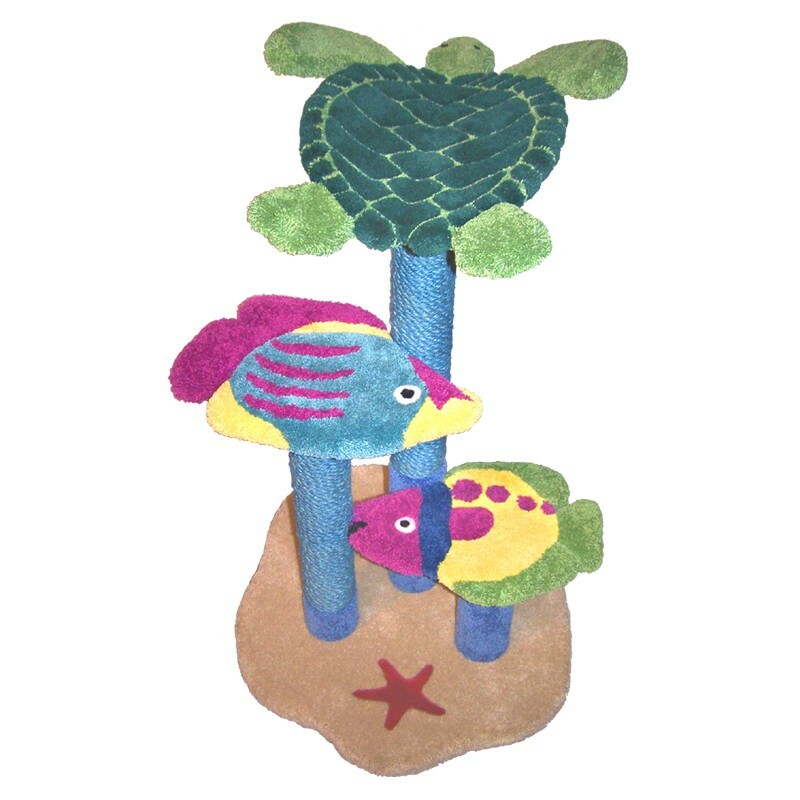 At just over 3-1/2' tall, this amazing aquatic-themed cat perch has a curved sea turtle bed and 2 fish steps. The turtle is available in green or brown & beige. If you wish, you may convert up to 2 of the normally carpeted posts to sisal rope scratch posts, including options for colored (dyed) sisal rope for a small additional fee. Some assembly required.